Posted January 27, 2016 by The Rapid & filed under Rider Stories. Ken is a Grand Rapids native whose recently returned to the area after time spent in other cities. He’s been riding the bus since middle school when The Rapid’s predecessor The Grand Rapids Area Transportation Authority (GRATA) was keeping the city moving. Owning a car really isn’t something Ken prefers. For him, riding the bus has offered him an opportunity to get out and explore the city and spend more time enjoying music and podcasts. One of his favorite aspects of riding The Rapid is being surrounded by people and really enjoying his surroundings. Owning a car really isn’t something Ken prefers. For him, riding the bus has created an opportunity to explore the city and spend more time enjoying music and podcasts. One of his favorite aspects of riding The Rapid is being surrounded by people and taking in his surroundings. Ken was also surprised by how easy it is to sneak in more exercise. He shares how getting on board more has actually contributed to more walking. 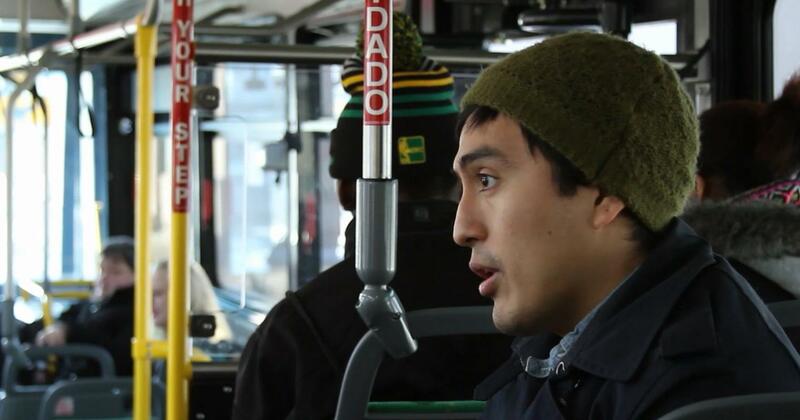 Ken even compares his experiences with riding public transit in Peru to using the Silver Line. Why do you get on board?